We cook a lot at home, so I'm always collecting fresh recipes to try. I have a pocket on the side of my recipe binder where I file new ideas, and once they've been tested and pass the "keeper" criteria, they get filed into the binder under the right category - cocktails, mains, sides, desserts, so on and so forth. One thing I've always wanted to do is take a cooking class. I love learning about ways to combine flavors and make even the staples taste better. 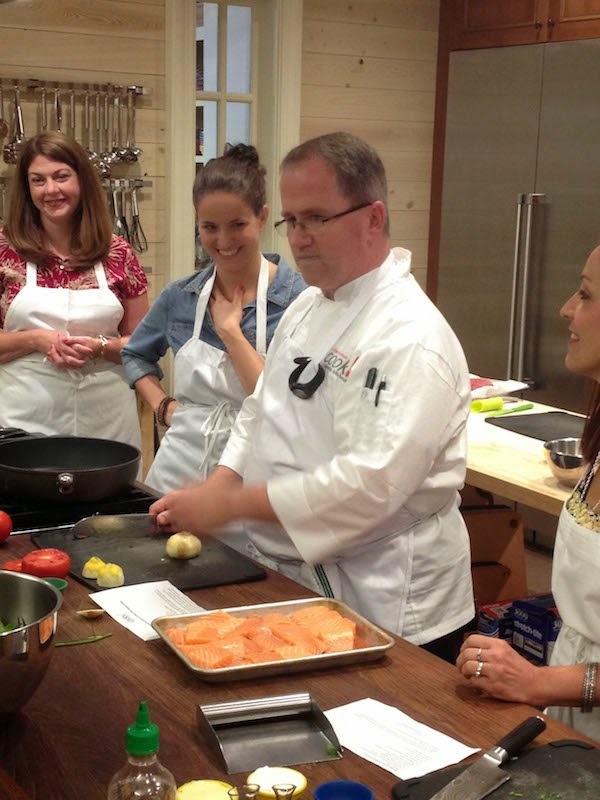 And I finally got to sink my teeth into a class at Charleston Cooks in Greenville last month! 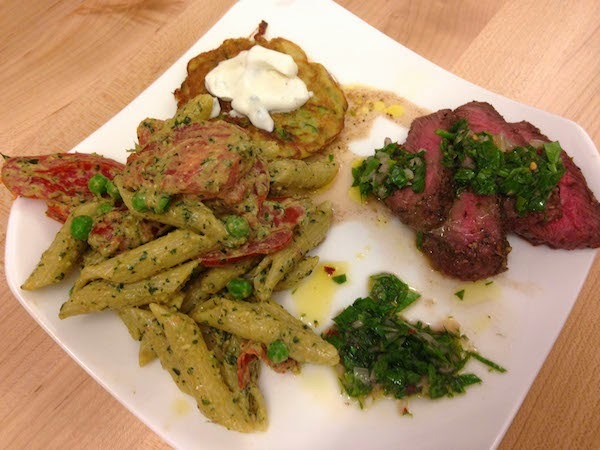 If you're a hands-on foodie, I definitely recommend taking a class with Mark. He's so friendly, helpful and highly entertaining. Plus, he's generous with his wine pours. So that never hurts. Our class was a mix of couples, families and girlfriends. In fact, there was a group of women who said they take a girls' trip together every year and a cooking class is something that's always on their itinerary. GENIUS. Note taken. 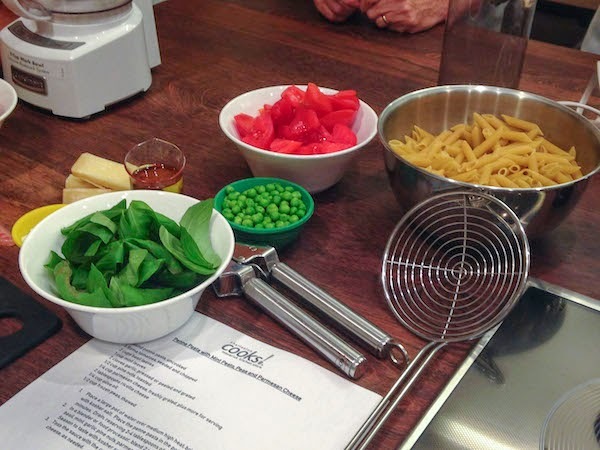 The theme of our class was all about working with fresh herbs. We made poached salmon with some kind of a dill creme sauce, steak and an amazing chimichurri, pesto pasta with tomatoes and peas, and zucchini fritters with a sour cream and chive dollop on time. I've already made some of the recipes at home and, needless to say, they all went straight to the "keeper" categories.